Croatians take over the Palms Hotel in September! 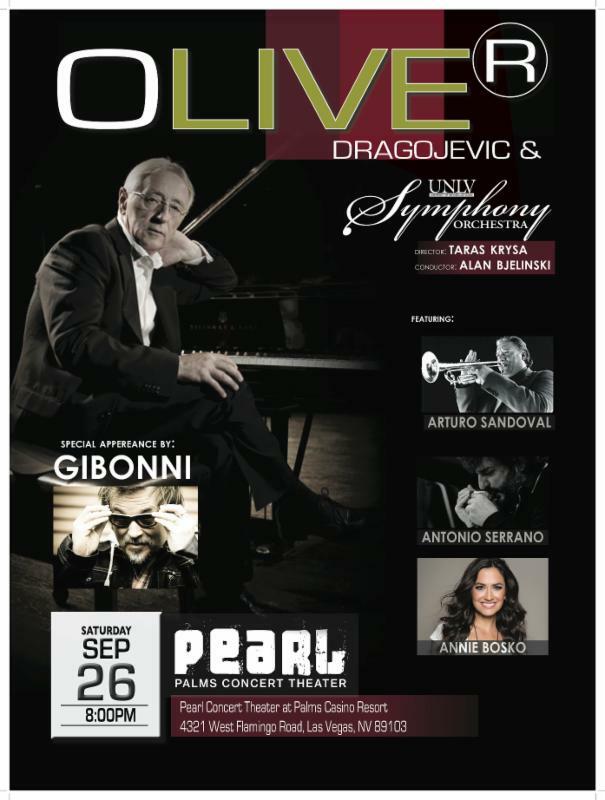 After sold-out performances at Carnegie Hall in New York, L'Olympia in Paris, Royal Albert Hall, London and Sydney Opera House, Dragojevic performs for the first time in Las Vegas. His style blends traditional melodies of Dalmatia, a coastal region in his native Croatia, with jazz motifs wrapped up in a modern production. In Croatia, he is one of the country's most beloved cultural icons with a discography that spans nearly four decades. Dragojevic's music has explored regional folk to global pop during his tenure as Croatia's musical ambassador to the world; he has now added global pop styles in his work to give him a broader international audience. Special guests during this show include 10- time Grammy Award winner and legendary Cuban jazz trumpeter Arturo Sandoval; Spanish harmonica genius Antonio Serrano, known for performances with Paco DeLucia, Toots Thielemans and Wynton Marsalis; singer-writer Gibonni, who is responsible for more than a dozen of Dragojevic's hits; upcoming country star Annie Bosko; and Dragojevic's band "Dupini." September 26, 2015, 8 p.m.